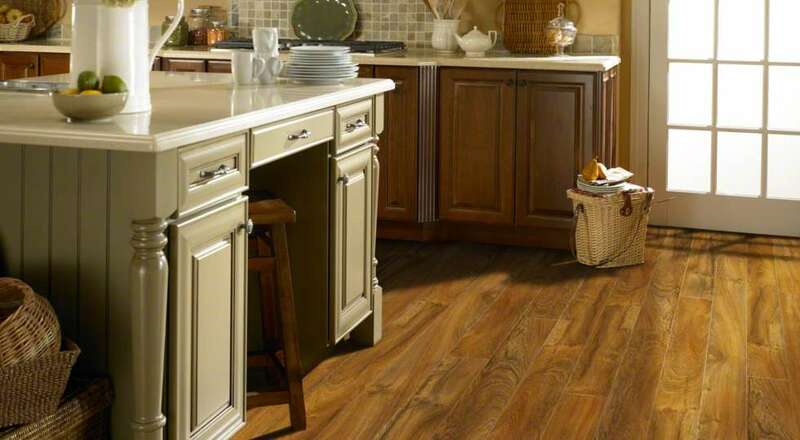 Durability and functionality accurately describe the advantages of a laminate floor in your home. The visual effects available now are incredible, and a medium price point makes it a good choice for high traffic, busy households. Laminate flooring affords many advantages. It does not fade in the sunlight and is resistant to stains, impacts and scratches. This is due to the incredibly durable melamine plastic wear layer. Couple this with outstanding graphics, texturing and edge detail, and this flooring type fits the bill for many families. 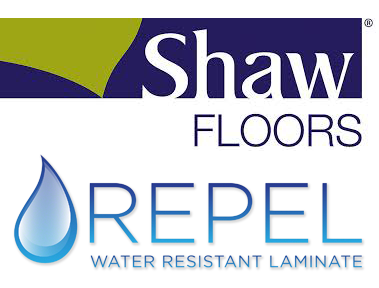 Shaw has upgraded product line called Repel Laminate. It was designed to stand up to the toughest household conditions. Repel Laminate is scratch, stain and fade resistant, kid and pet friendly and easy to install. Accidents do happen. But Repel Lamiante gives you time to clean up spills, making it easier to protect the beauty of your floor. Laminate flooring is a floating floor installation. We typically use a foam underlayment beneath the floor, and there are varying types. Eco-Ultimate Silencer is made with recycled rubber tires, and offers antimicrobial protection along with sound deadening properties. Since laminate is a floating system, it is ideal in remodel situations and can be put right over many other flooring types. It is rated to install over radiant heated floors as well. Thank you so much for everything you did to make our dream home a reality! We appreciate you more than words can say and are deeply grateful for the hard work you and your team put in. We absolutely love every inch of our home! Thank you! Toby and Joey did a remarkable job of installing the carpet. They moved the furniture out, moved it back perfectly, were SO conscientious! They vacuumed up all the bits and left the place ready for rehabitation. Besides that, the color of the carpet is perfect with even the old stuff…everything looks terrific!! You are a genius! Thank you! Easy to work with, consistent, get it done attitude. We were happy, previous customers. You provide excellent customer service, quality workmanship and stand behind your work. The design work Jill provides is clean, not cluttered, stylish, relevant and looks awesome. She puts together an incredible look in a short amount of time! I Googled you. Ratings were excellent! Jill is very knowledgeable, Ryan is enthusiastic and very thorough. Sean is an amazing installer. Appreciate you all sharing your knowledge with me. Thank you! 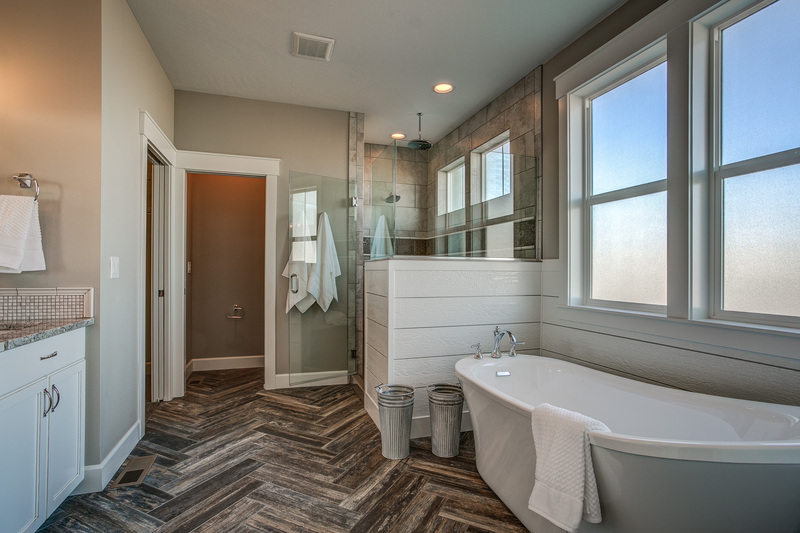 Northwest Tile & Floors is professional, clean, easy to work with and on time for appointments. Friendly people. I can’t think of any improvements that need to be made. You get a big YAHOO! from me. Friendly, competent and efficient. Our tile setter was a delight as well! Pleasure from start to finish. I just wanted to send a note to let you know what a privilege it is to work with you and the team at Northwest Tile & Floors, and we look forward to many more years ahead. The service your team provides is exceptional; we have never had a problem with you and your crew’s work performance. It is obvious you and your team take pride in a job done right. What’s more, your customer service is excellent – it is clear you have the clients’ best interest in mind. We would recommend you and your team to anyone! What was becoming very overwhelming was made simple and fun with Jill’s suggestions. A customer will be most happy if the design fills their taste and décor. She cared enough to really find out what ‘look’ we liked and worked from there. Thanks! Lindsay was proactive & professional. She took upon herself to meet with the company doing the other part of our remodel project. She was amazing and provided legendary service! The installer was awesome too. On time, every time and did excellent work. We offer the following products & services. Choose one to learn more. We happily serve all of the great Coeur d'Alene area. Come visit our showroom today! © 2019 Northwest Tile & Floors. All rights reserved. Web Design by GreenTent Web Design & Marketing. All trademarks and copyrights are property of their respective owners. All rights reserved.